KM Chicago's regular monthly meeting Tuesday, November 13 will host Dan Flynn discussing the development of social knowledge exchange at Nalco, the global leader in water treatment technologies. Implementing a social layer in a global company comes with both challenges and rewards. Going Social explores the journey Nalco Company took to weave communities and a social layer into the fabric of its business. From pilot to production the journey is fraught with barriers, potholes and a thousand decision points that ultimately effect deployment, governance and acceptance. We will learn about Nalco’s journey from start to present that ultimately resulted in governance principals and a best practice approach for community deployment and growth. Dan is Nalco’s go to person for Knowledge Management. His twenty seven years of industry experience, with the last ten in the knowledge group, make for a good blending of knowledge principals with a keen eye for customer needs. Nalco’s customer intimate business model demands quick access to operations data, knowledge assets and subject matter experts. Dan has been published both on-line and print, in industry and knowledge journals, most recently as editor for “The Nalco Water Handbook - 3rd Edition”, and the “Nalco Guide to Boiler Failure Analysis – 2nd Edition”, both published by McGraw-Hill. Nalco has been recognized as a North American MAKE* Finalist (2005, 2007, 2008, 2010), Global MAKE Finalist (2010) and an APQC Best Practice Partner in 2012. Dan can be reached through email at dflynn@nalco.com. Tues. Oct. 9: Taxonomy for a KM Site - Why and How? Please join KM Chicago and taxonomy expert Janice Keeler at 5:30 on Tuesday October 9 to explore taxonomy for better knowledge management. Meeting details are at right. If you have search and user tagging on your KM site, why would you bother with a taxonomy (hierarchically structured keywords) or any other form of controlled vocabulary? Synonyms, authority lists, taxonomies and other explicit relationships between terms can improve retrieval of relevant information from any sort of system. Come learn more about the different options, with some real world examples of why they help. We’ll also cover basic information about how to create and manage the term lists, and suggested resources for more information. The talk will include a live demonstration of a taxonomy tool and some points on what to consider about the various types of taxonomy tools. Janice Keeler is Manager, Knowledge Management at NERA Economic Consulting, where she is responsible for creating and managing a global taxonomy and a SharePoint site using it. Before joining NERA, she had a KM role at McDonald’s Corporation. At Accenture, she was responsible for global content licensing for eight years. She also had leadership and team roles on global projects developing a knowledge management strategy and reorganizing knowledge centers into a global organization. Earlier, she started and managed information centers for a public relations firm and a local investment bank. What ties all these roles together is a desire to help people get the information they need to do their work. 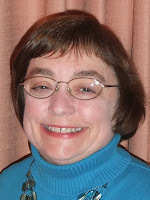 Janice is a co-founder of the SLA Taxonomy Division, currently serving as Chair-Elect. She has a Masters in Library Science from the University of Chicago, a BA in history from The College of Wooster, and a Certificate in Knowledge Management from Dominican University.